Select voters in District 2 of San Luis Obispo County have been contacted recently by telephone and asked to participate in a survey about current county supervisor Bruce Gibson. Specifically, the survey attempts to measure the impact of Gibson’s recent public admission that he has been having a long-term affair with his legislative assistant Cherie Aispuro. Last November, Gibson, who is serving his second term as District 2 supervisor, announced that he had been having an affair with Aispuro and planned to leave his wife. Immediately afterwards, Aispuro, who was also married, was transferred briefly to the County Clerk-Recorder’s office before Gibson decided in early 2013 to bring her back as his legislative assistant. In the telephone survey, voters were asked about what local media they use to get their information and the impact of the affair on their support for Gibson. The survey also measured how Gibson would do against potential challengers, including former Morro Bay mayor Janice Peters, San Luis Obispo City Councilman John Ashbaugh, and Los Osos CSD Director Marshall Ochylski, who lost to Gibson in 2010. Neither Gibson nor Peters responded to a request for comment. Ochylski and Ashbaugh said they did not commission the survey. Ashbaugh also indicated that he has no plans currently to challenge Gibson, who is slated for re-election in 2014. Ochylski said he is considering making another run for the supervisor’s seat, but has not yet made a final decision. Former Los Osos CSD director Julie Tacker is also believed to be considering challenging Gibson. At the end of the survey, voters were asked to choose between Ashbaugh and Gibson. District 2 includes the coastline from Los Osos to San Simeon, as well as part of Templeton and San Luis Obispo. Vote District 2 Supervisor Bruce Gibson out of office. In America today adultery is still considered political suicide by many, unlike France where citizens and a little media “omerta” helps them just give it a shrug, then move-on with politics as usual. Maybe SLO County male Supervisors should be sworn in to be celibate. Hasn’t that oath worked well for the Catholic Church?. @WOLFHOUND: Nice attempt at reframing the issue, but it won’t work. The issue is NOT Gibson’s illicit sexual affair with Asiporo, his legislative aid and direct subordinate. The issue is Gibson’s abusing his power as county supervisor, including the wrongful use of county resources, to carry on the affair. ***Gibson’s misuse of public funds to enable his illicit sexual relationship with his own legislative assistant and direct subordinate, Asiporo. ***Gibson’s inability (or refusal, to the point of narcissistic behavior) to man up, take responsibility for his behavior, and STOP putting SLO Co taxpayers in a position of accruing more and more potential liability. ***Gibson’s self-centered refusal STOP sacrificing the right for SLO Co workers to work in a sexual-harassment free environment for his own sexual gratification. ***Gibson’s willingness to put other county workers, who must witness Gibson’s facilitation of Asiporo working her way to the top on her back, in a workplace environment where they can plainly see that having an illicit affair with a county supervisor is a successful way to obtain both unjustified pay raises and job security. ***Gibson’s waste of taxpayer money/ county resources (including county legal counsel’s time and resources expenditure) to attempt to first hide his affair, then coverup his affair, and then to enable Asiporo to continue to work in Gibson’s office as his legislative aid, continuing to be his direct subordinate. ***Gibson’s incredibly self-serving behavior which has brought on considerable potential liability for the County of San Luis Obispo (and, thus, its taxpayers). MaryMalone, we have heard all of this before and point-by-point the information provided by County Counsel has knocked your assertions down. We “get” that you don’t like Gibson already, OK? So the County Council, who is hired by the BOS, and gets their raises from the BOS, says everything is okay. Funny how that works out. Maybe you haven’t been following the E-mail trail, public records requested by a Los Osos citizen who has been out to get Gibson for years. Even she couldn’t find something derogatory to write about in those thousands of E-mails. Sad that you are so suspicious that you would assume that County Counsel would not be ethical. But I guess that would put a dent in your thinking on Mr. Gibson, wouldn’t it….. The collection pipes are 25% complete and a tad ahead of schedule. Everything sewerish is coming along just fine, thanks for asking. kayaknut, there is no reply button on your last post so I can’t answer you below it. I don’t know how more plain I can be. I will try again. Gibson has been HONEST with Los Osos in the dealings with the sewer and its other issues. What he does in his personal life is not my beeswax. Honesty of a person is not achieved by saying a little here but not a little here, a person is either an honest person or not. If clearly appears honesty is not something you feel necessary in your elected officials, but many believe otherwise. You comment is like saying well he did something nice when he donated to the needy so we should overlook the DUI he got when he crashed into a schoold bus becasue he wasn’t working at that time, sorry it doesn’t work that way. I apprecaite you thinking if I don’t live in District 2 I shouldn’t bother to comment on this, sorry to inform you but a small document written hundreds of years ago gives me the right, it’s called the Bill of Rights, perhaps you could give it a read. kayaknut, apparently your world view on events is seen as black or white. Mine is not. As long as Gibson does the JOB he was elected to do (and I speak about Los Osos, I don’t know what happens elsewhere, I don’t follow those areas) and this he does well (he does), I am not concerned with other areas of his life (other than the general concern that I have for everyone, that they are reasonably happy and fed). I’m still not sure why you are calling him out. (Read carefully, I never questioned your “right” to comment.) There are other elected officials that have not had perfect personal lives. Do you go online, say for elected officials in North Carolina or New York as well to write about your views on them? Or are you feeling that the current BOS is too “liberal” and you want to see Gibson voted out —should he choose to run that is. For me I do not limit my impression of a person to one item (as mentioned by you Los Osos), I look at the whole person. When it comes to elected officials it requires looking at the whole person and character is a large part of it, or in Mr. Gibson’s case lack there of. As for the Bill of Rights, thanks for the history lesson, and showing your lack of humor. In case you missed it, I was humorously referring to everyone’s right of free speech and your limitations to it. The only item I have spent enough time on to make an accurate and informed impression of Mr. Gibson is Los Osos, particularly the HUGE amount of work it took to get Washington D.C., the State Water Board and other agencies to get on board with our sewer project. Had the information he gave to the press about his personal life not come to light, what would your opinion have been? Really, to broaden the discussion, should we hold all elected officials as “suspect” if we do not delve into their personal lives so we can “be sure” they inhabit the same moral territory as our own personal opinions? Do you live in District 2? If not, do you comment on other elected San Luis Obispo county officials that have had personal issues in the news? Again, read what I said, I did not question your right to free speech. As to “humor,” your comment of “sorry to inform you but a small document written hundreds of years ago gives me the right, it’s called the Bill of Rights, perhaps you could give it a read” seems not to suggest that I should look for humor in your words but that my education was deficient….. Perhaps it is best to look into the mirror first before casting aspersions on another’s learning. This applies to carping on people’s personal lives as well. Remember “the mote and the beam” proverb? If Mr Gibson has done such a good job, how’s that new sewer working? It has been enough years right, the sewer should be in, and working perfectly? I do suggest you get a subscription to the Comedy Network, and plan to spend the weekend watching as monay comics as possible, there is a serious need for some humor in your life. We need a good solid primary with lots of choices. If for no other reason, a November run-off means Bruce doesn’t become a lame-duck in June who goes wild for six months like Patterson did (and others before him). The election should never be decided in June. It’s bad public policy. So, bring everyone: Ochylski, Winholtz, Tacker, Anderson, Topping, Peters, Ashbaugh, Smukler… and anyone else willing to serve. Let the second district narrow it down to a November run-off. There’s a push to have Betty Winholtz or Ken Topping run. These are two condescending adults. Their relationships are their own affairs. It is hard to believe we can’t all move past this. Let’s ALL move on. SanSimeonSam, I am a taxpayer and live in District 2. Mr. Gibson does a great job for Los Osos. Not sure why honesty is not something you want in your elected representatives. His personal life is his own business. Love is not the same as shepherding the creation of a difficult public works project through the politically rocky shoals of a divided town. Which he has done and continues to do admirably. I speak from my personal observations in Los Osos. You might better spend your time kayaknut wondering as I do if this “survey” is even real and who actually commissioned it if it is. Gibson didn’t. Tacker couldn’t. Ochylski wouldn’t and Ashbaugh, no way. Cal Coast on the other hand as you might have noticed sure loves to keep this aged-out personal story in the forefront…..
Where I know Mr. Gibson is from all of his efforts toward the betterment of Los Osos, sewer and other. For what he was elected to do, he has delivered. Other than that, it is not my business. I think the future “re-elect Gibson” campaign funded it. It sounds like a sham “survey” to me, and it is timed to be perfect for Gibson to start massaging the voters to see what else he can get out of them if he is reelected. 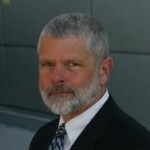 Gibson has put the best interests of his johnson ahead of the best interests of SLO County and its taxpayers. Gibson certainly is condescending, but I doubt that that’s a good defense for his moral lapses. Sure, I’ll move on. As soon as Lying Gibson and his County paid Squeeze move on. Which part of the hanky panky on our nickel do you not get. I have no problem with his/their lack of moral compass, but please, not on my dime. Just another 2 bit lying politician. Is that the best leadership this community can produce? I think not, but go ahead, forgive and forget, and get your checkbook out. History does repeat itself. Yes, the fact that they are so “condescending” the taxpayers who are footing the bill for their illicit affair that destroyed too families just makes it worse. The keyword here is condescending, lol. The matter is whether they have the voters’ consent!